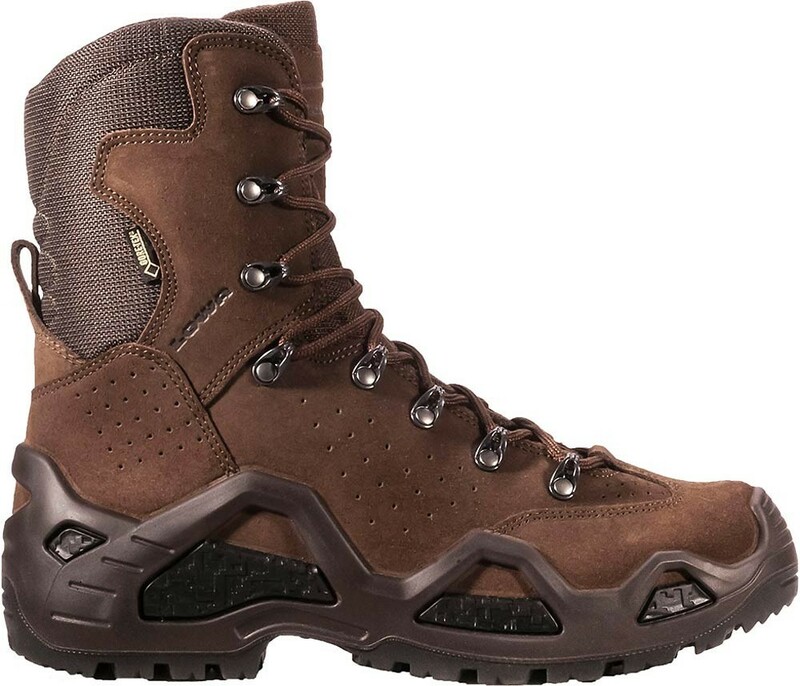 The men's Lowa Z-8S GTX is a rugged, multi-function boot designed for demanding missions, while carrying heavy packs over varied and extreme terrain. 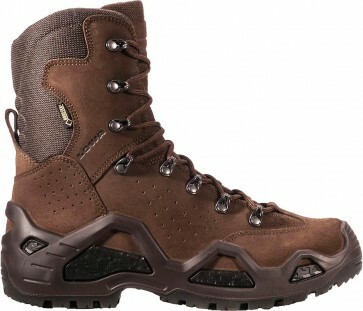 Lightweight and stable, these boots provide the walking comfort of light hiking boots, with the support and protection of hard duty, backpacking boots. UPPERS: Extra-rugged 2.2MM Hydrophobic Nubuck leather and Cordura provides durability in harsh conditions.